As we enter the last 60 days of this legislative session, remember these words: Nothing is dead while the Legislature is still in Austin. You’ll hear that things are dead. You’ll read somewhere that this or that legislation died on the floor or in committee or in a dark room somewhere. Those stories will be correct — and also wrong. Legislation dies all the time. Senate Bill X and House Bill Y are more likely to wither on the vine or meet the hedge clippers than not. The content of those bills, however — the laws or regulations they seek to create or destroy — can be revived as amendments to other legislation. So chill out. At this point, your hopes have not been dashed, and your dreams are not realized. Into apocalyptic fiction? Think of the dead bills as zombies in search of new hosts. Sometimes, you’re the zombie and sometimes, a zombie is chasing you. You probably read that the Texas Senate last week approved legislation creating public subsidies for private and home schools. You might also have read the comments of the House Public Education Chairman, Rep. Dan Huberty, R-Humble, who said that the bill isn’t going anywhere in the House. Given the committee he chairs, that might be right. You’ll hear that things are dead. You’ll read somewhere that this or that legislation died on the floor or in committee or in a dark room somewhere. Those stories will be correct — and also wrong. But it would be wrong to say the idea is dead. Even if Senate Bill 3 becomes the proverbial bug on the windshield, that language might hitch a ride on another piece of legislation. Advocates, lobbyists and lawmakers are already tracking “vehicles” — bills on which their pet projects can find a seat. The players who want to kill certain pieces of legislation are doing the same thing for defensive purposes, trying to make sure they haven’t buried something only to find it has been resurrected somewhere else. Watch the Senate’s “bathroom bill,” too — the one that regulates who uses which restrooms in public schools and government facilities. It passed the Senate but its prospects in the House are lousy. Never mind: Advocates are looking for other bills where it might fit into the general subject matter. They tried and failed to add a bathroom amendment to legislation continuing the Texas Railroad Commission, but they’ll be back. It’s a big issue for some conservatives and they’d like to have a floor vote in the House even if they lose — the better to tag political friends and enemies in next year’s primary elections. Zombies are hard to spot in a process where most legislation fails and where the legislation that passes almost never passes in its original condition. In a cartoon version of how legislation works, you’d walk in saying you want to make chocolate cupcakes. You’d hear from the vanilla folks, the gluten-free folks, the sugar-is-death people, well-paid dieticians in expensive suits, parent-teacher organizations and someone traumatized in second grade by a bully who poked his finger in everybody’s desserts. You’d walk out with a small bowl of almonds — if you walked out with anything at all. Not all of those almonds would be yours. On major bills that have the broadest reach and therefore the most potential as vehicles, the House and Senate often attach rules, some that limit the subject matter of amendments and some that set deadlines for amendments to give the sponsors time to sort through potential surprises. Some legislators — often Democrats operating in a Republican-controlled House and Senate — take pride in their ability to pass legislation after their bills die for lack of attention. An amendment attached to something that’s going to pass — even something carried by the majority party — beats another dead bill in a file cabinet. Hope springs eternal in the Texas Legislature, especially when people get desperate. Things almost never come out of the Texas Legislature — if they come out at all — in the same shape they went in. Principles give way to exceptions and compromise, and the final product can differ greatly from the original idea. If you got the states together to take power away from the federal government, as Greg Abbott hopes to do, and if you increased the state's powers over laws passed by cities and counties and local voters, the most powerful office in the state capital would really be something. 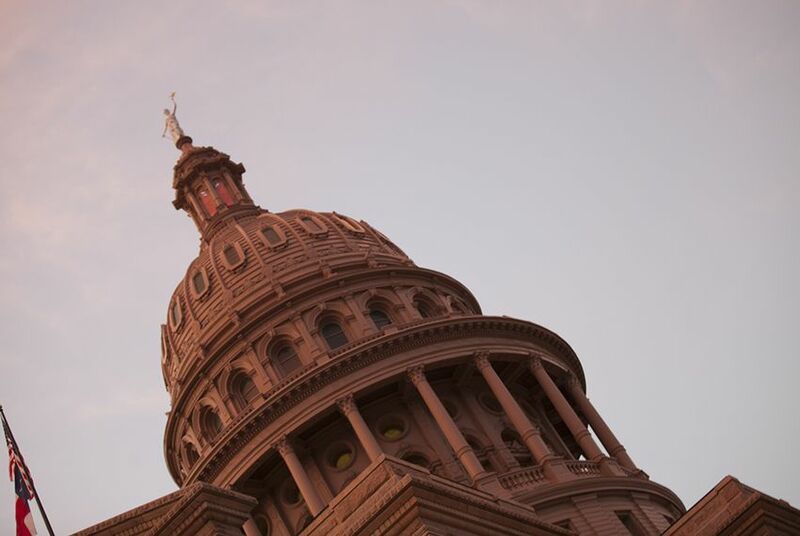 The denizens of the Texas Capitol are already talking about the possibility of a special session if lawmakers haven't finished the budget and other bills by Memorial Day. They might be worried, but you shouldn't be.